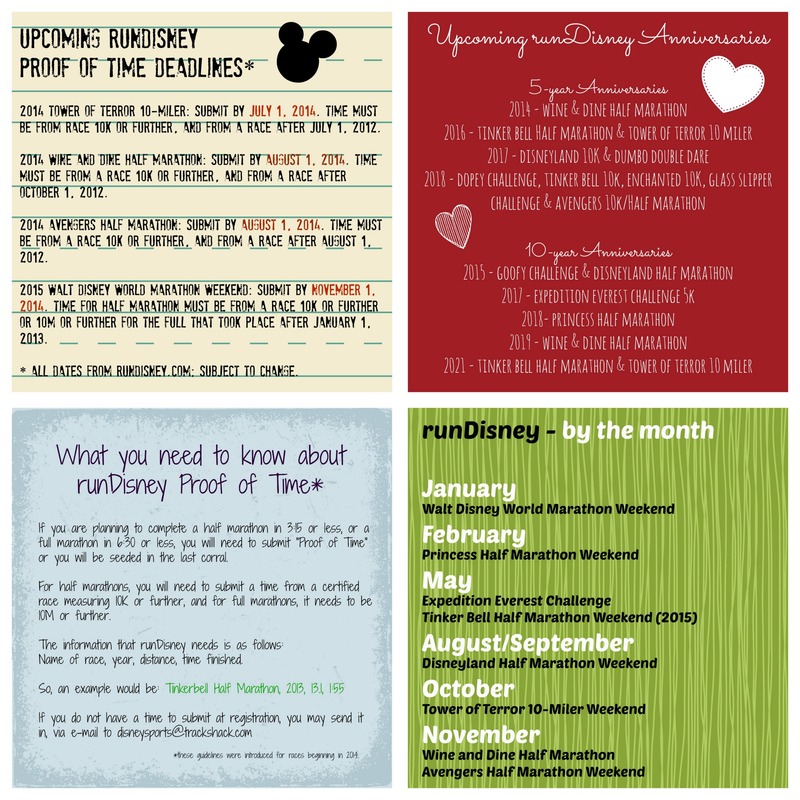 Recently, I was perusing the runDisney website, searching for some information for upcoming blog posts and updates when it dawned on me that although there is so much valuable data, it sometimes can be a challenge to know where certain tidbits are tucked away. I started taking notes, and as I dug deeper to find the answers to other burning questions, I found that there were a few things that I couldn’t find, and if I was curious about these things, I was surely not alone. As I saved dates, instructions and other materials, I racked my mind for a way to share this information in an efficient way. Although sharing the information in a blog post would reach a certain audience, I wanted to find a way to share…and that’s when I came up with a new idea: Flash Cards! With shortened format, and posted directly to Pinterest, these cards can be saved as images, pinned to boards, or shared easily through social media channels. As I continue to keep my finger on the pulse of runDisney events, I hope to add more cards to share with my fellow runners and enthusiasts. Additionally, I’m open to suggestions as to what subjects would be appropriate for future flash cards! Great idea Krissy. I love these! Genius Krissy! Thanks for sharing!! !